My Easter Weekend plans were up in the air until Tuesday evening, which is hardly the best way to do these things seeing as how Easter in New Zealand is still the tail end of summer (especially this year), and it can be hard to make plans so late. But plans were indeed made this late and so it was that at two in the afternoon on Good Friday I was on a ferry bound for South Island. 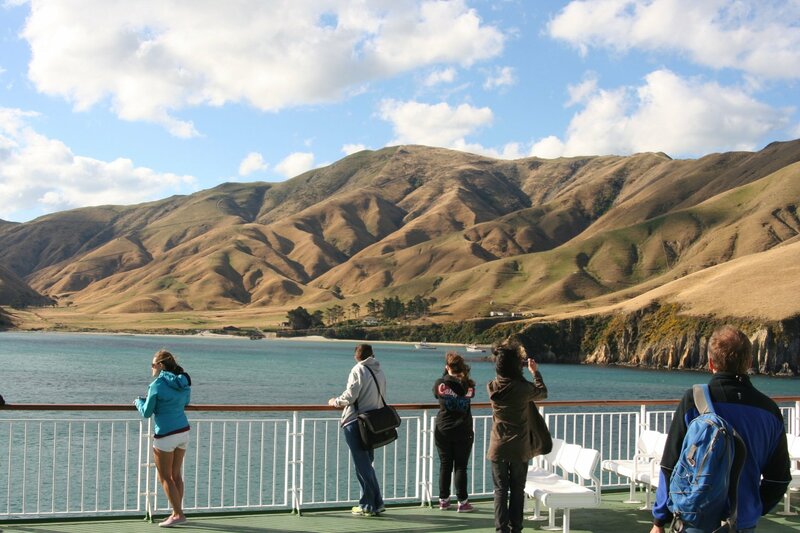 The ferries between Wellington on North Island and Picton on the South Island represent a common link in the journey of most visitors to New Zealand, bringing them from the cafes of the capital to the wine districts of Marlborough. Personally I prefer flying, but the trip can be pretty spectacular. The trip can also be brutal if the weather is not with you. More than once I’ve watched a ship heading out of the harbour with nothing but pity for the poor souls on board. 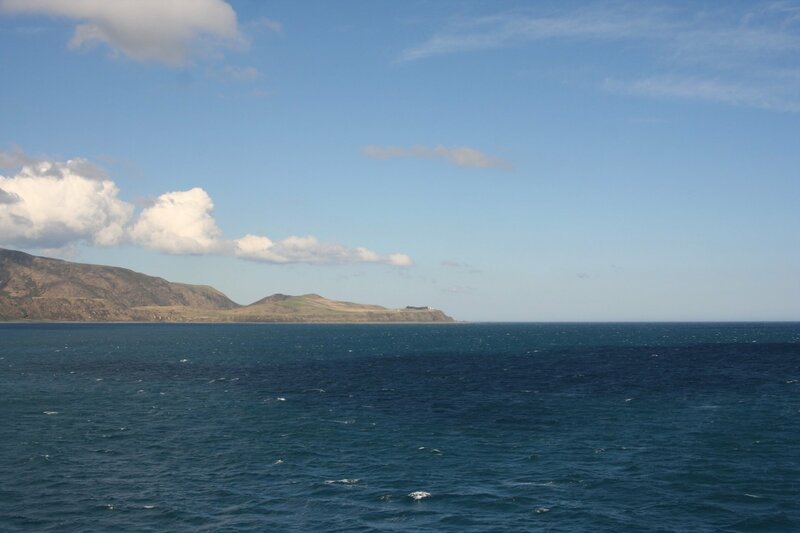 The Cook Strait can be windy and choppy as all get out, and I’ve heard one horror story of a boat crossing in storm seas, spending five hours trying to thread the needle and get into the Marlborough Sounds, give up, and then head back to Wellington. Fortunately the crossing was lovely for me! 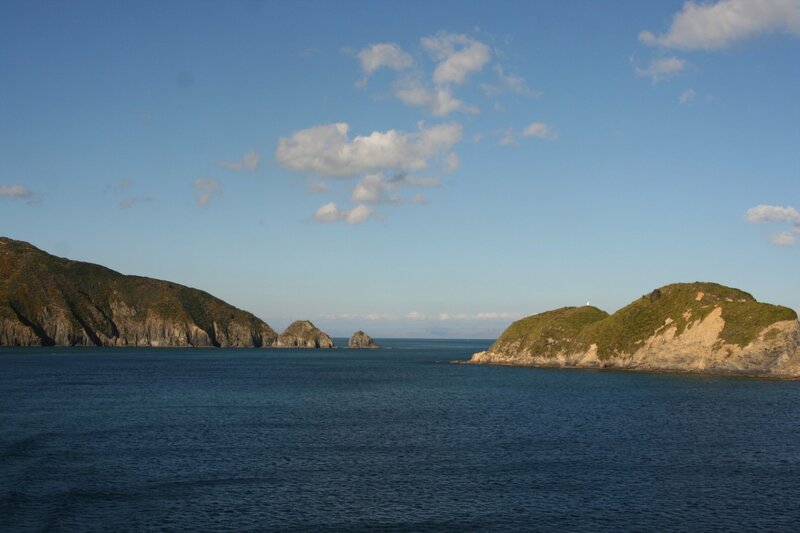 The Cook Strait can also serve as a good introduction to marine birds for people visiting New Zealand. It starts in Wellington Harbour, where I saw big flocks of White-fronted Terns hunt for small fish with large Australasian Gannets. Australian Pied Shags and the endemic Spotted Shag also fish the calm waters by the city, and if you are lucky you can see Blue Penguins as well. I didn’t this time, but there were huge numbers of Fluttering Shearwaters this time, along with a larger darker shearwater that might have been a Sooty Shearwater. 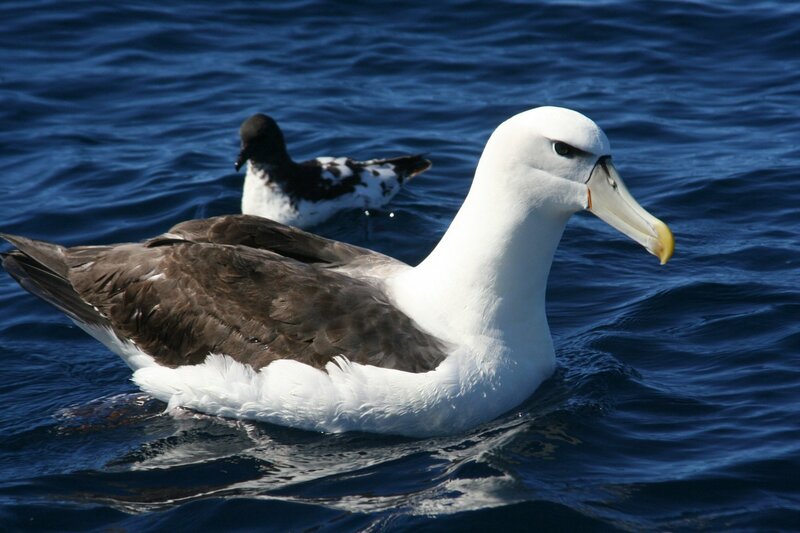 The Fluttering Shearwaters continued to be common around the coasts of both North and South Island, and just outside the harbour, in sight of the city, I saw a White-capped Albatross, my first albie of the year. A pretty good find! I saw a few more albatrosses at a distance on the trip, along with some Buller’s Shearwaters, but it was such a calm day that there wasn’t much flying about. Halfway through the trip one enters the Marlborough Sounds, which can be a real relief if it is choppy as the Sounds are usually much calmer than the Strait. 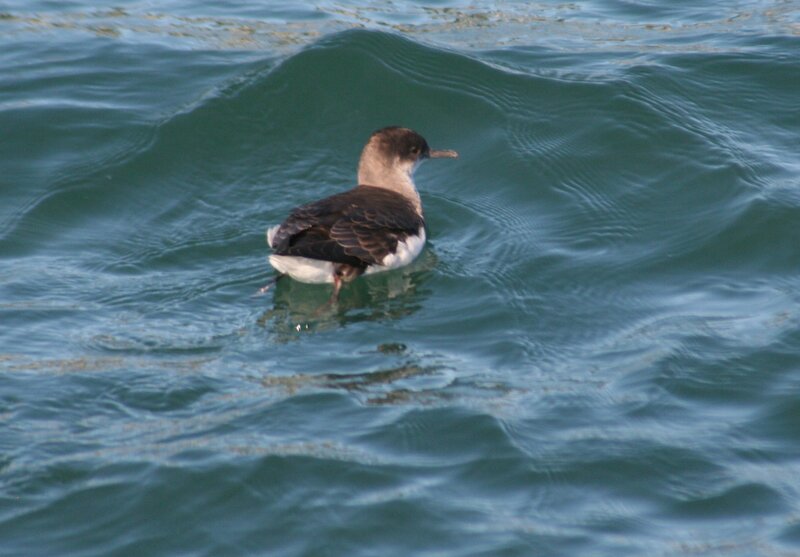 Here the wildlife goes back to being coastal, with much the same birds as Wellington Harbour. 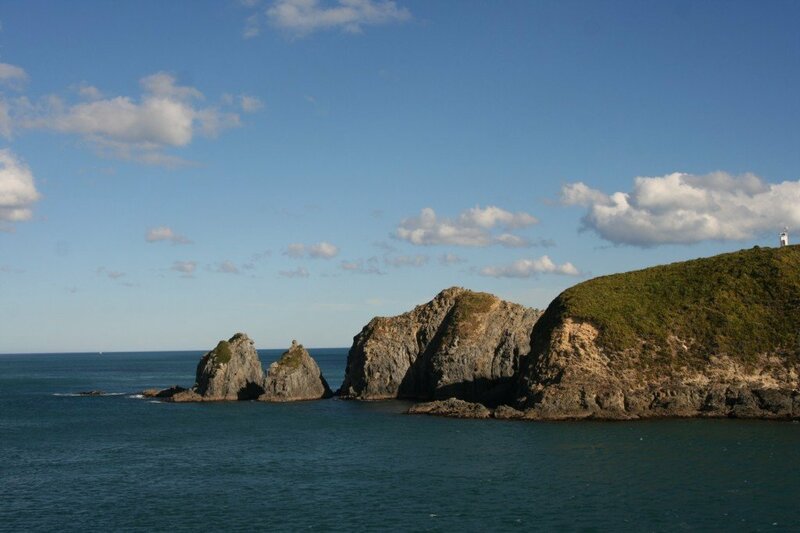 That said the Marlborough Sounds should be on the bucket list of any keen birder, home as it is of the King Shag, which is endemic to this group of islands and bays. Not a species I have seen myself yet, but it is on my list. 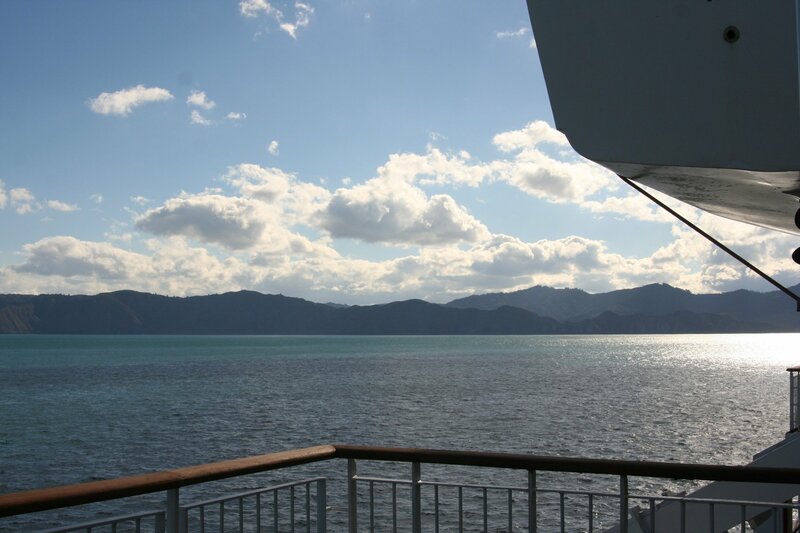 Admiring the Marlborough Sounds (Okukari Bay) from the deck of the ferry. I am jealous, as always. Week 8: Wrapping up the South Island, and more!